Inspired by the cobbled classics this spring? Beef up your bar tape, lower your tyre pressure and plan ahead for next year with Cyclosport's guide to the best cobbled sportives in the UK and Europe. In the age of aero-skinsuits, carbon bikes and space-age helmets, cycling can sometimes bear little resemblance to the sport of Coppi, Anquetil and Merckx. However, there are certain things that remain constant - the number of hairpins on Alpe D'Huez, the hostile conditions on the Ventoux, and most of all, the brutality of the cobbles at Arenberg in France or the Kwaremont in Belgium. Riding cobbles is a unique experience, and one that many cyclists feel is an essential box that needs ticking. 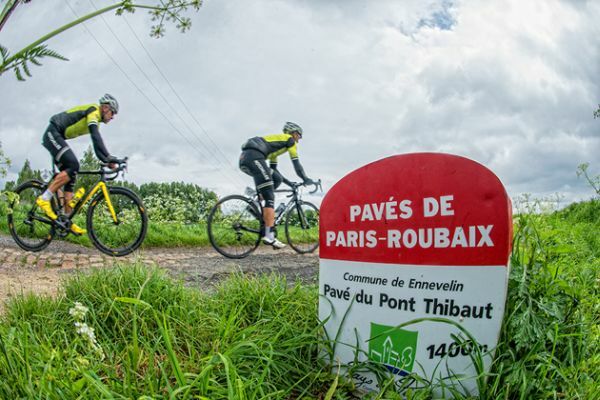 Before you set off, it might be worth reading former Paris-Roubaix winner, Magnus Backstedt's tips for riding on the pavÃ©.